Joe Dorish Sports: Which Breeders Cup Horse Races Have Produced the Highest $$$$ Superfecta Payouts? Which Breeders Cup Horse Races Have Produced the Highest $$$$ Superfecta Payouts? The 2018 Breeders Cup series of horse races will take place this year on November 3, 2018, at beautiful Churchill Downs located in Louisville, Kentucky. Here is a list of the Breeders Cup races which have produced the highest average superfecta payouts. There are 14 different Breeders Cup races that will be run in 2018, ranging from races for juvenile horses to the best older horses in the game and from sprint to distance races and races run on the dirt and on the turf. Historically, some of the races have produced whopping superfecta payouts in many years while other races have not. This is the list of the races which have produced the highest average superfecta payouts since the Breeders Cup has offered the superfecta. Each payout listed below for each race is for a $1 winning ticket. Keep that in mind as you see these whopping payouts for the superfecta races - each one is for just a $1 winning bet. Since superfecta betting has been offered on Breeders Cup races the race that has produced the highest average payout per year is the Breeders Cup Classic with an average payout of $38,222. The author has written about this before and you can see the highest payouts at Breeders Cup Superfecta Bet Has Averaged $38,222 Payout Per Year. Why has the Breeders Cup Classic had the biggest superfecta payouts? The race has the biggest purse at $6 million so every trainer and every jockey does everything they can to get a piece of that enormous prize money leading to many longshots winning and running in the money in this event. The Breeders Cup Mile Turf race has the second largest average superfecta payout at $17,973. Why such large payouts for this race? 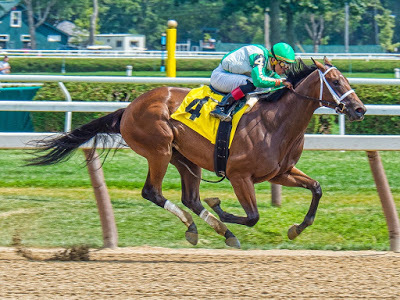 Turf racing is notoriously hard to predict and this race attracts runners from all over the world many of whom have never run much against any of the competitors in the race. The Filly & Mare Sprint has the third largest average superfecta payout at $17,434. Why is that the case? As you will continue to see the sprint races make up the rest of this list so the sprint races are less predictable than the longer races in general. Here are the top paying superfectas from this race. The Breeders Cup Turf Sprint has only been run for the last 10 years but it has produced some amazing payouts. Only once in 10 years has this race failed to produce a superfecta payout of at least $4,000. Any Breeders Cup race can produce a massive superfecta payout. Almost all the races feature large fields full of top horses trained and ridden by the most successful people in horse racing. Statistically, though, if you want to hit a huge superfecta payout this year you should concentrate on the five races listed above. Good luck to all at the 2018 Breeders Cup!